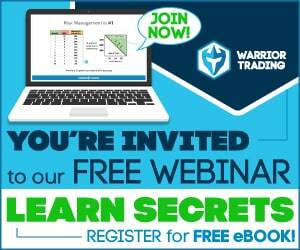 What if all you needed to become a successful trader was a simple eBook? Well, the Swing Trader Guide is a 96-page eBook that claims to provide you with a definitive guide to swing trading. But how effective is it? Well, this review attempts to unearth the real facts behind this relatively popular learning course. This eCourse seems to place a lot of emphasis on the importance of learning the basics. Right off the bat, Kevin, the guy behind this program walks you through all the basic stuff you need to keep in mind especially if this is your first time trading. This is a pretty good thing for him to do because most of the programs we’ve reviewed so far seem to ignore this all-important stage of learning altogether. Basically, the first 35 pages of this program mainly cover the basics and since the entire program is 96 pages long, it’s fair to say that only 60% of the entire guide focuses on the advanced stuff. That’s quite worrying especially for intermediate and advanced level traders who wouldn’t like the idea of wasting time getting through the basics. This is where the rubber meets the road. That’s because the entire program shifts its focus to discussing various trading optimization strategies. Also, there’s an in-depth approach to the best techniques of manually building a stock watchlist. You’ll also learn about some of the latest techniques of locating hidden support and resistance points on the markets. Just to sum up some of the main points to look forward to at this level of learning, here’s a quick summary. One thing we’d like you to note, however, is that this isn’t one of those canned trading systems. It’s rather a platform that gives you the opportunity to create a method of trading that complements your unique style of trading. Besides that, this system contains two sets of methods. The first set comprises methods developed by other trading gurus. The second one contains unheard of methods that the author of this program has developed over time. We couldn’t help but notice the emphasis on self-learning throughout this program. And ultimately, the idea behind this course is to empower you to trade without necessarily relying on indicators or AI. Actually, Kevin himself only uses trade indicators to confirm his moves after carrying out his independent analysis of the stocks. In our opinion, this is pretty good to reduce the potential of making losses since bots aren’t always accurate. 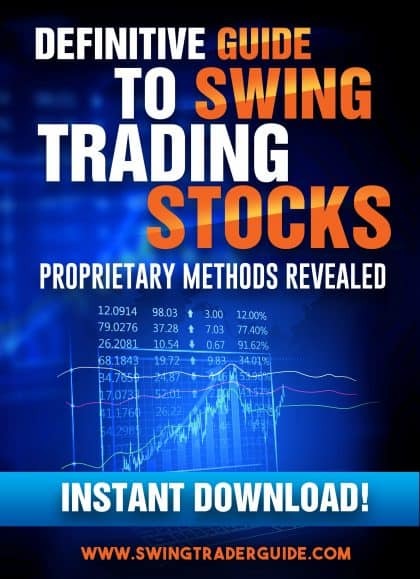 In particular, we tend to think that the Swing Trader Guide would be a fantastic option for anyone looking to enrich their understanding of stock trading. The program basically equips you with the soft and hard skills of marketing – and this presents you with an awesome opportunity to thrive as a trader, in the long-run. The style of trading that’s popularly promoted on this platform is that Swing Trading. As the name suggests, this is a style of trading that entails capitalizing on movements in the markets and riding along them before exiting, just before an opposing cycle takes over. That basically means that you typically have to book your profits just in time before the market reverses. Otherwise, the moment the markets reverse, all your gains will be wiped out. Among other awesome trading strategies. What’s more? In addition to the main system which is pretty well-made, you also get access to 3 awesome bonuses. Bonus #1: The Ultimate Trading Calculator – Valued at well over $99, this calculator comes in handy in computing potential trade positions. This is done in line with your money management tools and style of trading. On top of that, you get access to a trading simulator which gives you the chance to test the waters without risking a single cent. Bonus #2: The Trade Tracker Spreadsheet – Valued at $49, this Excel sheet based tool comes in handy in tracking different trades. You can confidently use this for analyzing and tracking your trade results. Bonus #3: Trading Report Library – In addition to the handy eBook, you’ll also gain free access to a huge library of trading reports. These are currently valued at $230 but you get to access them at no additional cost provided you get a copy of the Swing Trader Guide program. That’s in addition to an iron-clad money back guarantee package as well as the access to an awesome customer support team. We were particularly drawn to the timeliness and helpfulness of this team – they’re so supportive and easy to work with. 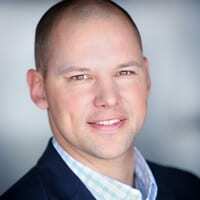 Kevin Brown is an authoritative author who claims to have over 20 years of experience. Judging from the kind of system he has been able to put together, it’s clear that he’s an awesome guy. It’s fun to work alongside him also, all thanks to the great customer support team that he has put in place. That said, he doesn’t seem interested in telling the world much about himself other than him being a full-time trader for over 20 years. We genuinely feel that this program is worth the money. Much as it may seem like a pretty basic system, there’s quite a lot of stuff that you can learn from it, no matter your current level of experience.